This episode is all about the new online course, Fire Your Financial Advisor that was just released three days ago. For the next week it is being offered at 20%, or $100 off its $499 price. 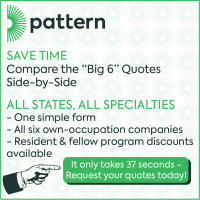 Don’t procrastinate or you’ll be paying a little more. Of course, it is still a bargain even at its regular price. Some of you are probably not all that different than I was a few years ago. I wasn’t really interested in business finance or investing. I was just interested in science and medicine in particular. But I had a few dreams in my life that required money and I really hated feeling like I was wasting it or that I was being taken advantage of. So I spent years and years compiling all this information from dozens of financial books, websites, blogs and internet forums, until I knew enough that I could write, implement and follow my own financial plan. My goal with this course is to cut years off your learning curve so you don’t have to do what I did. I’m going to give you the high yield information you need in order to be financially successful as a high income professional. Listen to the podcast here or it is available via the traditional podcast outlets, ITunes, Overcast, Acast, Stitcher, Google Play. Enjoy! 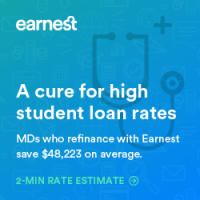 [00:00:21] Do you know how easy it is to start saving money on your student loans by refinancing? SoFi offers a free online application to refinance. As the leading student loan refinancing provider in the country, they’ve already helped over ten thousand doctors . They can help you too. There’s no obligation and no fees to apply. Take two minutes to see your new low student loan interest rate at Sofi and you could save on your student loans. As a member of the WCI community you’ll get $300 towards your student loan when you apply to refinance with SoFi. 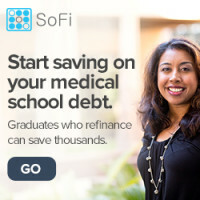 Now medical residents can refinance their student loans with SoFi too and pay just $100 a month during their training. Apply today at Sofi. [00:02:01] I explain who this course is for. Be sure to buy the WCI online course, 20% off before January 24. [00:00:21] Welcome to Podcast #37: Introducing the online course. First a word from our sponsor, Sofi. Do you know how easy it is to start saving money on your student loans by refinancing? 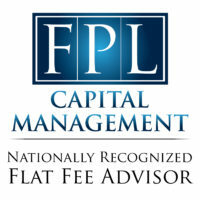 Sofi offers a free online application to refinance. 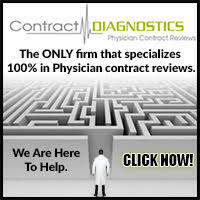 As a leading student loan refinancing provider in the country they’ve already helped over 10000 doctors . They can help you too. There’s no obligation, no fees to apply. Take two minutes to see your new low student loan interest rate on Sofi dot com slash white coat and you could save on your student loans. As a member of the WCI community you’ll get 300 dollars toward your student loan when you apply to refinance with Sofi. Now medical residents can refinance their student loans with Sofi too and pay just a hundred dollars a month during their training. Apply today at Sofi dot com slash Whitecoat. [00:01:09] Our quote of the day today comes from Daniel Crosby who said you can realistically afford half the home the mortgage broker approves you for. I think that’s probably about right on average, if you want to build any kind of wealth, you can’t spend all your money on housing. [00:01:22] In today’s podcast I want to talk a little bit about the online course that we just released three days ago in which for the next week is being offered at a 20 percent discount or 100 dollars off it’s four ninety nine price. Don’t procrastinate or you’ll be paying a little bit more. Of course it’s still a bargain even at its regular price. [00:01:41] Now you don’t have to complete the course in the next week. All you have to do is buy it in the next week to get the discount. But we calling this course fire your financial adviser. 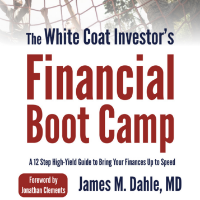 Now I interact with thousands of white coat investors every year and I try to offer something for everyone no matter what their level of financial knowledge or discipline, motivation or resources might be. [00:02:01] For example some people are true hobbyists these folks read every blog post I write. They e-mail me corrections when I screw something up, they read a dozen other financial blogs. They actually enjoy reading financial books. They leave comments on most of the posts they read and they probably spend more time helping others on the WCI forum than they do learning themselves. [00:02:21] There are other people who can just read a book or to skim around the website for interesting topics and everything seems to click. They figure out a simple plan relatively easily and put it into place. You might not love this stuff but they know it’s important and they become competent do it yourself investors. [00:02:36] Toward the other end of the spectrum we have people who want a financial adviser either locally or maybe somebody they can work with via skype or email or phone. [00:02:45] They occasionally come by the site to double check the information they’re being given. Make sure they’re paying a fair price. They really don’t want to read any books or follow blogs for that matter. They just don’t want to get ripped off. 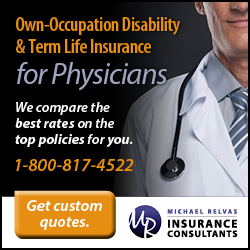 [00:02:56] However between those last two groups of people is a huge swath of physicians and other high income professionals. I meet them all the time when I’m out speaking. They send me e-mails. Sometimes they get around to posting a question on the forum or the blog. When they find out how much financial advice costs. They want to become do it yourselfers but they don’t have the knowledge or the confidence to do so. However they get overwhelmed when they’re given a list of a dozen books to read or when they realize there’s 11 hundred blog posts on the white coat investor. 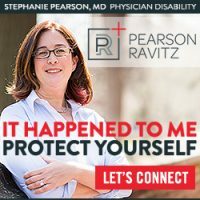 I spent the last year trying to figure out the best way to help these doctors. My first attempt at it was the WCI Financial Boot Camp. This was a 12 step or 12 email course that eventually will be compiled into a short book. I really tried to cut out any fluff and make it a short and high yield as possible. It’s really for the person who wants to be told exactly what to do as quickly as possible. The price on it is right, it’s totally free via email and the books not going to cost much but I realize this just wasn’t going to cut it for most of the people in the group I’m trying to reach. They need that course that they weren’t given in medical school and they needed to be a real course with real lectures and real exams to test their knowledge and with real assignments. They need someone to show them what to do. Step by step. [00:04:11] So we came up with fire your financial adviser. We bought a professional quality camera, professional quality lights, mixer, microphones, professional software and we learned how to use it all. Katie and I then spent literally two months of our lives putting this course together for you. [00:04:28] So a little bit of introductory information about it. I mean I understand that names a little bit provocative right. Fire your financial adviser. That’s personally deliberate just to get you in here so we actually learn this stuff right because no matter how you choose to use a financial adviser in the future this course is going to help you to do it. If you want to be your own financial planner, investment manager, you’re going to have the knowledge skills and confidence to do that by the time you finish the course. If you still want to check in with an adviser from time to time I’m going to teach you how to do that effectively. Both cost effectively and time efficiently. 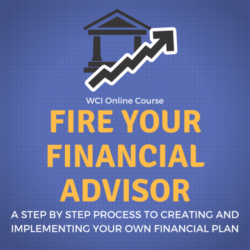 [00:05:02] But even if you still want to use a full service financial adviser this course is still going to be very useful to you. It will help you to negotiate a fair price for that advice and more importantly it will help you know how to discern and even improve the quality of advice you are receiving. And as most advisers will tell you the more engaged you are in the process the more that adviser can and will do for you. [00:05:25] Honestly you’re probably not all that different than I was a few years ago. I wasn’t really interested in business finance or investing. I was just interested in science and medicine in particular. But I had a few dreams in my life that required money and I really hated feeling like I was wasting it or that I was being taken advantage of. So I spent years and years compiling all this information from dozens of financial books, websites, blogs and internet forums, until I knew enough that I could write, implement and follow my own financial plan. [00:05:56] My goal with that course is to cut years off your learning curve so you don’t have to do what I did. I’m going to give you the high yield information you need. Nothing more. In order to be financially successful as a high income professional I’m going to show you trustworthy resources that can help you but you’re not going to have to necessarily become an investing hobbyist like I have because I know you have important things to do and this isn’t super fun for you and that’s okay. Once you have a plan in place you’re only going to spend a few hours a year maintaining it. 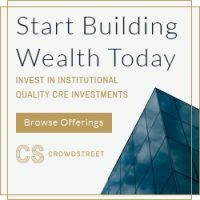 [00:06:25] Now the courses the most expensive thing we’ve ever sold here at the White Coat investor I mean we generally don’t sell much at all. We’ve given stuff away, the blogs free, the newsletters totally free. This podcast as you may have noticed is totally free. Even the books free if you go get it at the library. Ten bucks on Kindle 20 bucks for the print book but basically for a doctor that’s free too. But we’re actually charging for this course. And I know it’s expensive and we’re charging 500 bucks. You know if you get in the discount period it’s only 400. But otherwise it’s 499 or 500 bucks. And I’m not going apologize that for a couple of reasons. One because I spent two months of my life on it my wife spent two months of her life on it. But number two because I think paying for it is going to do a couple of things for you. One you are going to pay more attention to it. You will invest the time in it because you invested the money in it. And so I think it’s important to actually have you make a commitment both with your time and your dollars to learning this stuff so that you can become successful. And number two this is an incredible value. I mean imagine sitting down for eight hours with a financial adviser at 250 bucks an hour. That’s two grand. [00:07:42] If you go to a financial adviser and you ask them to draw up a financial plan for you that’s going to cost you two or three thousand dollars and that’s assuming you’re getting a good price on it. And in the end you’re still not going to know how to do it yourself. You’ll just have that financial plan. At the end of this course not only will you have the financial plan but you’ll know how to do it yourself, you’ll know how to change it is needed, you’ll know how to help other people with it as needed. And in reality this information is found elsewhere. 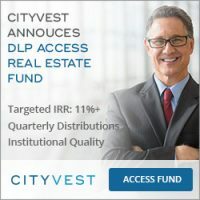 It’s found somewhere in the twelve hundred posts on the white coat investor blog. It’s found out there in dozens of financial books, you can get it from internet forums. [00:08:19] You’re not paying for the information, what you’re paying for is the convenience of having all of it distilled down to its most essential elements put together in one place and spoon fed to you as efficiently as possible. You’re paying for a financial plan that would cost you thousands and the ability to implement it yourself which likely will save you hundreds of thousands or even millions over the rest of your life. I knew that if I didn’t charge enough for this you just wouldn’t take as seriously as you would if you had to make a commitment. As a high income professional when it comes to financial success, you’ve already done 90 percent of the work by spending over a decade in school and training to learn your craft and ensure you have a high income. This course is going to teach you how to do the last 10 percent. [00:09:02] Using a football analogy, it is first and goal from the 3 yard line and all you’ve got to do is run the ball across the goal line. This course is your all star running back. It’s jam packed full of information that wasn’t given to you in medical school, dental school, law school school, or pharmacy school. It’s far easier to learn than those fields are but if you don’t learn it there’s pretty serious financial consequences. Your success isn’t going to be automatic. [00:09:25] So what’s in the course? Well first you take a pre-test and you know honestly I expect you to fail miserably. I think most people taking this course are going to fail miserably and that’s fine. By the time you get to the end of the course those questions I asked you in the pretest are going to seem really really easy. So don’t give up after the pretest, but then after the pre-test there’s 12 sections each of which covers a subject that’s really critical to your financial success. Most of these are around 30 minutes. There’s one that’s quite a bit longer but it contains some darn important information so I thought we had to include it and each of those includes videos, screen cast, and written material. And then there’s a quiz at the end of each of these and explanations for the quiz questions. And if you miss any of them or even if you just want more information about that topic I encourage you to read the explanations and then at the end of most of the sections, I will teach you how to write a portion of your financial plan. [00:10:21] And then by the end you’re going to have a written financial plan that you can follow to invest in success for the rest of your life. So here’s the deal. Right. I can’t force you to do every single little part of the course, if you just want to watch a few videos you can do that, if you just want to take the tests you can do that. If you just want to look at the examples of financial plans that are included in it, you can do that. But if you do it all by the time you get to the end, not only are you going to be financially literate but you’re going to have the confidence you need to follow that plan. [00:10:52] So let’s talk a little bit about each of the different sections in the plan. There are 12 different sections or modules. The first one contains a lot of introductory material. It talks about what the course is going to teach you, describes the course, tells you a little bit about me and specifically talks about a plan and why it is so important to have a written plan in order to be successful as an investor. In fact the answer to about 50 percent of the questions I get by e-mail or on comments on the blog is what does your plan say. And the truth is most people don’t have a plan. And that’s why most people aren’t financially successful. 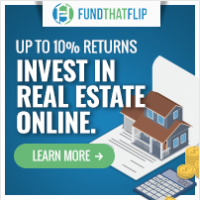 [00:11:30] I also go through a comprehensive way of looking at the White Coat investor Web site and I go through and show you where the resources are and the things that you need to know in order to find information on that Web site and find the material you need to help yourself. [00:11:48] In the second module I talk all about financial advisers both the good and the bad. I’ll teach about what a financial adviser can do for you. Talk about how much advice costs, the different ways of paying for advice, how to find an adviser, how to use an adviser, and a discussion about whether you need one or whether you can do it yourself. 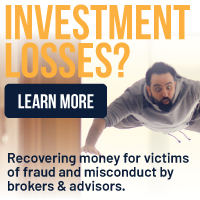 I even teach you how to move money away from your financial adviser which is a step that honestly keeps a lot of people from doing it themselves. They just don’t know how to change to something else. So I take them through very clearly how that is done. [00:12:19] The third section is all about insurance and we talk about insurance and what your theory should be behind insurance and why it’s so important to insure against financial catastrophes but not against stupid stuff like so many of us do. 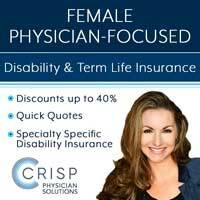 We talk about disability insurance and life insurance both term and permanent life insurance. I show you in a screen cast literally how to buy term life insurance. We talk about liability insurance both personal and professional and property insurance and health insurance and the importance of not mixing insurance and investments. And of course we teach you how to write the insurance portion of your written financial plan. [00:12:58] The fourth section is all about housing. I teach you why a house is an investment and why it’s a consumption item. 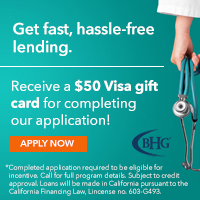 Talk about resisting the urge to buy that Dr. House right away and talk about how much you can spend, how to interact with realtors and lenders, and whether or not you should use a doctor loan. We talk about how to pay your mortgage off early and help you right the housing portion of your written financial plan. [00:13:22] In the fifth section or module we talk about your student loans talk about how you can minimize that burden if you’re still in training as well as how to deal with income driven repayment plans. Which ones are best for you and how to select one and sign up for one. We talk about public service loan forgiveness which is the best forgiveness program out there and what you have to do to qualify for it. 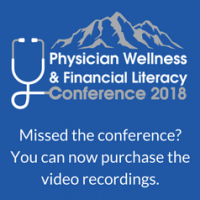 We talked about how to manage your loans during residency and after residency and how to refinance during residency and who can you do it with as well as after residency. Also talk about why you should pay off your debt quickly and how to decide how much to pay toward your loans versus toward your investments. And then of course at the end of the section we help you write the student loan management portion of your written financial plan. [00:14:10] Section 6 is all about spending or budgeting. We talk about the four most important words on this website and this podcast. Living like a resident. Talk about that most important year of your financial life. Your first years in attending and why it’s so important to hit the ground running. Talk about budgeting and cash flow planning about minimizing your fixed expenses. How to Use sinking funds to manage your budget and some common sense on emergency funds that a lot of people just don’t know how to apply. And then of course we help you to write the spending portion of your written plan. [00:14:43] Module 7, 8, and 9 really have a lot of the meat of the course in them. They’re all about investing and the largest portion of your written financial plan is going to be about investing. In Section 7 We talk about goals but how they’re going to change but you should set anyway and about how to set smart goals. We talk about the three enemies of the investor and how much you need to retire. We talk about your savings rate and what to expect from Social Security. We talk about college savings and I teach you how to do financial calculations using a spreadsheet. Things like future value and payment and period, things that are very important for you to know if you’re going to be your own financial planner. And then of course we help you to write the goals portion of the investment portion of your written financial plan. [00:15:32] In Section 8 we talk about accounts. We start with the boring old taxable non-qualified account and teach you about the advantages of investing there and the downsides. And then we talk about your plan documents for your plans at work. 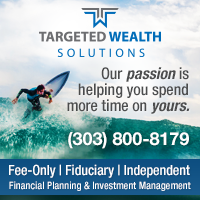 And the two main types of retirement accounts, tax deferred accounts and tax free accounts. We talk about 401Ks and 403B’s and 457 and Sep IRAs and simple IRAs and Solo 401k. We even talk about defined benefit and cash balance plans, Backdoor Roth IRAs. 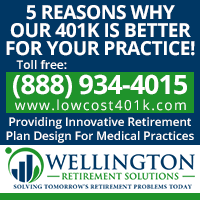 We talk about the rules behind using multiple 401k, health savings accounts and 529 plans. And then we help you write the account portion of the investing section of your written financial plan. [00:16:15] Module 9 is our longest section. It’s all about investing, about asset allocation and about implementing your investing plan. We teach you about stocks and bonds and mutual funds and options and other derivatives. We teach you about mutual funds and their fees. About the advantages of index funds. We teach about all the different asset classes we compare a total market approach to investing to factor investing. We talk about various options for Real Estate Investing and asset allocation. 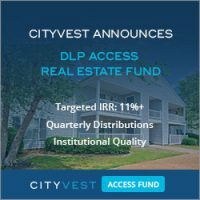 We talk about using a simple approach including funds of funds and treating all of your accounts as a separate portfolio. Then we teach you how to do it the right way, to combine all of your accounts as one big account for each goal. And we talk about tax efficiency and asset location and allocating your money across the various accounts we give various ways to rebalance and even talk a little bit about investing in retirement and how it’s different in the decumulation phase versus the accumulation stage. And of course we help you to right the asset allocation and the implementation plan of the investing section of your written financial plan. [00:17:23] Once you’re past Section 9 of the course you’re on the downhill slide for sure. In section 10 we talk about estate planning. We talk about its purposes. We talked about the importance of a will, talk about avoiding probate by designating beneficiaries and using or vocable or living trust. We talk about avoiding death taxes and this is all updated for 2018. Talk about giving money away and use an irrevocable trust. And about when you should meet with your estate planning attorney. And at the end we help you to write the estate planning portion of your written financial plan. [00:17:56] In section 11 We talk about asset protection. We talk about evaluating risks, about how insurance is your first line of defense. We learn about your state laws. We learn about incorporating doesn’t protect you from malpractice, how you can separate toxic and non toxic assets. We talk about hiding assets, fraudulent transfers, family limited partnerships, LLC and oversees trusts and then we teach you how to write the asset protection portion of your written financial plan. [00:18:25] The final section I call staying the course. We talk about market history and why it’s so important to understand financial history and that we talk about the importance of staying the course and about initial and your continuing financial education. We teach you how and when to modify your plan and then give you a worksheet that you can use to write your own financial plan. And we teach you how to do that. [00:18:50] After you’re done with that section quiz we even have a 50 question final exam that covers the material from the entire course and gives you the confidence to know that you actually learn this stuff as you went along and that you’ve become financially literate. [00:19:04] So this course is pretty awesome. We put a lot of work into it. We have very specific audience in mind for it. It’s not the true hobbyists that we’re trying to get this course for. It’s not the people who don’t want to learn a thing who just want to be completely dependent on a financial adviser either. It’s for the people in between. But that’s an awful lot of doctors. [00:19:26] So if this describes you, get out there today, you can come through the website and you can buy Fire Your Financial Adviser, the White Coat investor online course. [00:19:36] All right enough about the online course. Let’s talk a little bit about some of the questions that have been sent in by readers lately. Our first question comes in asking if it’s recommended to save 20 percent of your salary a year toward retirement. He has a couple of questions about that. The first is what if your salary is 240000 dollars so that 20 percent would be 48 thousand a year. And you can put 18 into a 403 b and eleven thousand into spousal and individual backed or Roth IRAs. Where’s that additional 19000 supposed to go? [00:20:08] And this is actually a really common question I get. I get this all the time and in fact I wrote a blog post about it in December 2017. Basically the answer when you filled out all your available retirement accounts and you need to invest more is that you do it inside a taxable account and it’s OK to save for retirement in a taxable or non-qualified account. It’s not like you don’t get any tax advantages for doing that. When you sell stuff that you’ve owned for at least a year you get the lower capital gains rates on your on any gains that you’ve had there. And when you get out qualified dividends from those investments those are also taxed at a lower dividends rate. And so there are some advantages to investing in a taxable account. It’s not as good as investing your retirement accounts but once you’ve maxed those out what choice do you have? You don’t. And so you have to invest in a taxable account. [00:21:00] And the second part of his question was if you’re saving 20 percent of your salary toward retirement does that mean that part of that 20 goes toward student loans and savings for a house down payment or as an additional savings above and beyond that. Well the truth is it’s above and beyond that. You need 20 percent just for retirement. Anything for college or to pay off your own student loans or to save up for a housing downpayment or a boat or a car or whatever else you’re saving for is above and beyond 20 percent. Now it’s not a hard and fast 20 percent but that’s the neighborhood you need to be in you know 15 percent might be fine if you save start saving early or you got some other advantage like a pension or you’re willing to work a long time or you don’t need that much money in retirement. But five percent is not adequate. It’s simply too low. You’ve got to get up there around 20 percent. And that’s where high income professionals need to be to have the type of retirement they want to have. [00:21:55] All right our next question comes from someone asking about podcast’s number 12. I really enjoy your podcast and was listening to podcast number 12 and at the end I noticed you mentioned starting a business doing something like online surveys so you could open an individual 401K. [00:22:11] So this reader noticed that although the question I was answering was about backdoor Roth IRAs made him wonder if it would be beneficial for him to start a business as he does a lot of surveys online and as a consultant and makes about 6500 dollars a year doing that, all those ten ninety nine income. This doc is an employed docs already maxing out for 4O3b 457 HSA 529. And investing in taxable both in index funds and in real estate. This doc also happens to make about 18000 dollars a year as an independent contractor for another company and owns a little bit of a hearing center, it sounds like although that doesn’t sound like it’s earned income and so the doc is basically wondering well is there another retirement account available to me. And yes there is. It’s called an individual 401k even though you may have a 4 O3b or a 457 or a 401k at your employed job. You also can open an individual 401k. Now the amount that you can put in there is dependent on how much you earn at the job. And basically if you’re using your entire employee contribution at your main gig you’re only going to be put in about 20 percent of your ten ninety nine income into the individual 401k. So if you’re only making five grand you’re only going to be able to put a thousand dollars in there if you’re making 20 grand, Maybe you’ll put 4000 dollars in there. And so the more you make it the side gig the more you can put in there. [00:23:40] But for some people that’s not the point of the individual 401k. The point isn’t to try to get a whole bunch of money into there. The point is to give them some place to roll a big traditional IRA or SEP IRA that they may have that is preventing them from doing the backdoor Roth IRA. [00:23:57] So that gives them something they can roll that into. So say for example you a five hundred thousand dollar traditional IRA and you want to start doing the backdoor Roth IRA. While you wouldn’t want to do that unless you got rid of that traditional IRA first because the pro-rata rule on the backdoor Roth IRA would screw you up. And so what you do is you figure out a way to open individual 401k and you don’t need much income to do that a few hundred bucks from surveys is probably plenty and then that allows you to be self-employed and thus get an employer identification number from the IRS and open up that individual 401k you put 50 bucks in there from what you earned from your surveys. But you roll that five hundred thousand dollar Ira in there and now you can start doing backdoor Roth IRAs on the side. So that’s what I was referring to in the previous podcast. But you know if you make a lot of the side gig you can shelter even more money in the individual 401k as well. [00:24:54] All right our third question comes from another listener who says the one thing that I still haven’t quite figured out is whether or not is reasonable to consider some semi necessary expenses as part of our emergency fund. And this doc and spouse have monthly payments of around fifty five hundred dollars on student loans and basically want to know does our emergency fund need to include that fifty five hundred dollars a month that we’re paying towards student loans? Because that would be obviously a very large emergency fund especially if you push that out to six months worth of your actual expenses. [00:25:32] And so I think in these sorts of situations it’s important to inject a little bit of common sense into your emergency fund. Just because you’re making payments of fifty five hundred dollars a month doesn’t mean your emergency fund needs to cover those payments. It should probably be enough to cover your required payments and if you’re required payments you know a thousand dollars a month well that amount probably ought to be baked into how large your emergency fund is. But if you’re making all these optional payments those don’t have to be in your emergency fund. [00:26:01] Now if you’ve decided to get really aggressive about paying off your student loans you’ve got a five year loan for instance and you really are making these multi thousand dollar a month payments. Maybe that’s reasonable to have some of that in your emergency fund but in a lot of ways when you look at an emergency fund the point of it is to help you avoid going into debt. When you’re already in debt, you’ve kind of already had the emergency. And so I think it’s OK to have a little bit smaller emergency fund and be dedicating those dollars toward paying off that debt as fast as you can. It just doesn’t make any sense to me for somebody to have 150000 dollar you know student loan and be carrying 60 thousand dollars as an emergency fund you know knock that down 10 20 thousand dollars maybe and put the rest toward the student loans and help yourself get out of debt that much faster. If you listen Dave Ramsey his recommendations nothing more than a thousand dollar emergency fund until all your debt is paid off except your mortgage. [00:26:58] Now I think that would probably make a lot of physician families a little bit uncomfortable to have an emergency fund that small but that’s basically the idea is you want to have a smaller emergency fund while you’re trying to get rid of that debt. Especially really high interest debt. And I think there’s also some room for play there obviously and that sort of a situation when you have these other really great uses for your money. Maybe a six month emergency fund isn’t where you want to be. Maybe a three month or even a two month emergency fund is where you want to be. So I think it’s you don’t need to get too rigid about what an emergency fund is and isn’t, the whole idea behind it is you need to have some money set aside that can take care of some things that come up without having to take on any additional debt. And you know it’s not money that you’re trying to earn a great return on and say you want to limit how much money is in that emergency fund. [00:27:47] Now at this point my life. We keep about a six month emergency fund in a high yield savings account and only pays us 1 percent or maybe a little bit more right now. And and so that’s a reasonable thing for us to do because we don’t have any debt. But if I owed somebody a bunch of money at 8 percent I’d have a much smaller emergency fund than a six month spending emergency fund. [00:28:13] All right. This episode was sponsored by Sofi. Do you know how easy it is to start saving money on your student loans by refinancing? Sofi offers a free online application to refinance. As a leading student loan refinancing provider in the country they’ve already helped over 10000 doctors. They can help you too. There’s no obligation and no fees to apply. Take two minutes to see your new low student loan interest rate on Sofi dot com slash white coat and you could save on your student loans. 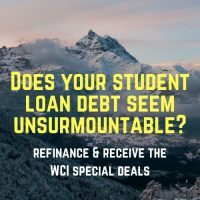 As a member of the WCI community you’ll get 300 dollars towards your student loan when you apply to refinance with Sofi. Now medical residents can refinance their student loans with Sofi too and pay just 100 bucks a month during their training. Apply today at Sofi dot com slash Whitecoat. [00:28:59] Remember that the special discount offer on the online course only last one more week so sign up today. You don’t have to complete it in a week. You just need to buy it in the next week. [00:29:07] Head up shoulders back you can do this. We can help. I like those categories. I used to think of myself as a do-it-yourselfer but it sounds like I’m firmly in the hobbyist camp. Good luck with the course. I’m sure it will help a lot of struggling doctors. I think the harder part is having the discipline to save. So my tip is: save now or pay later. Far too many people wake up in their sixties and realize they don’t have enough money. I say, let go of the mentality of spending money for immediate gratification to protect yourself in the long-term.